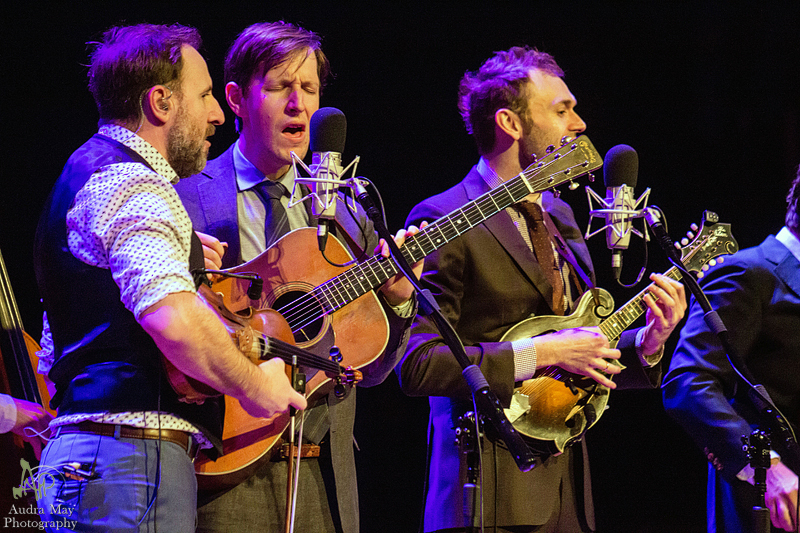 It’s the second night of the Punch Brothers’ spring tour and I’m convinced the quintet are not actually musicians, but sharks in dapper suits. 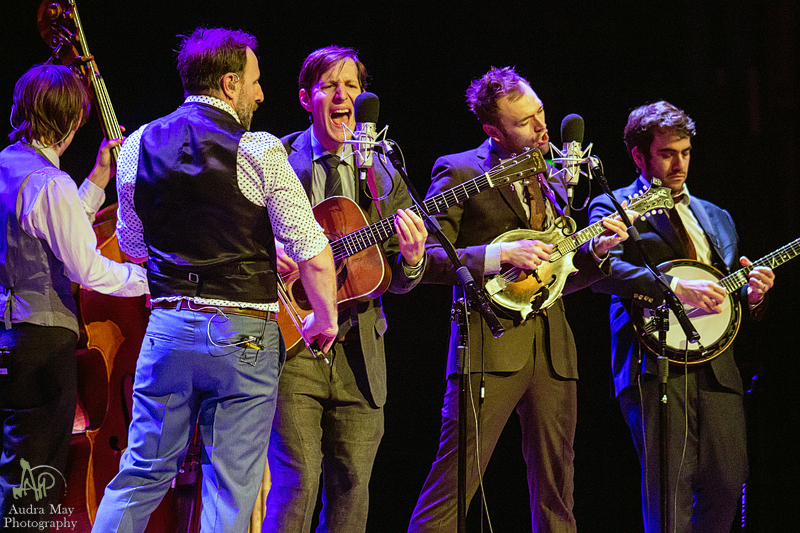 Not card sharks or loan sharks, not even land sharks. 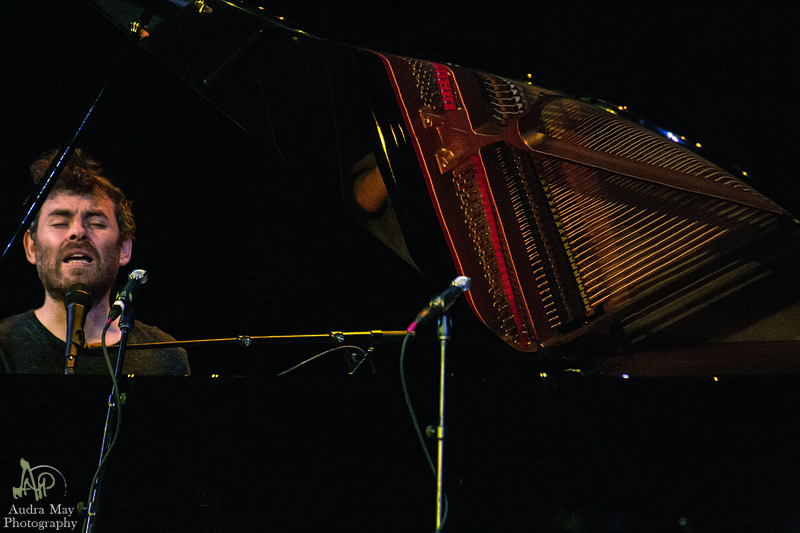 I’m referring to the species of cartilaginous fish that must constantly swim in order to keep oxygen-rich water flowing over their gills. 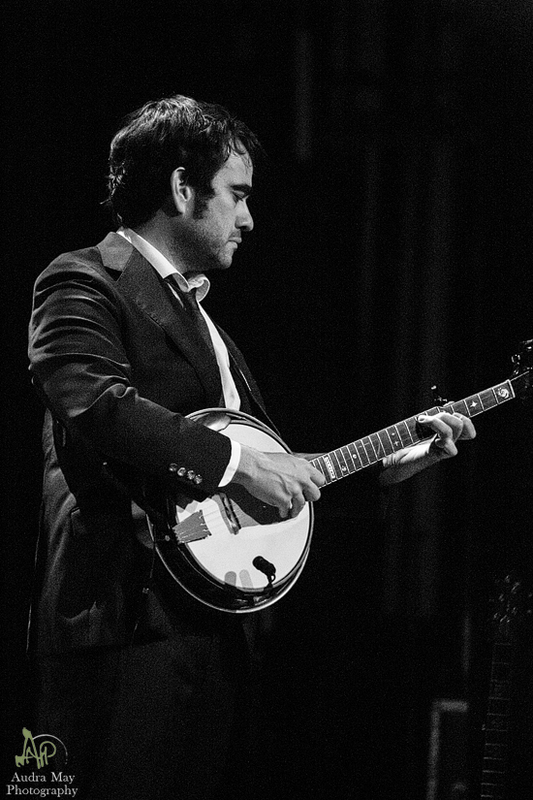 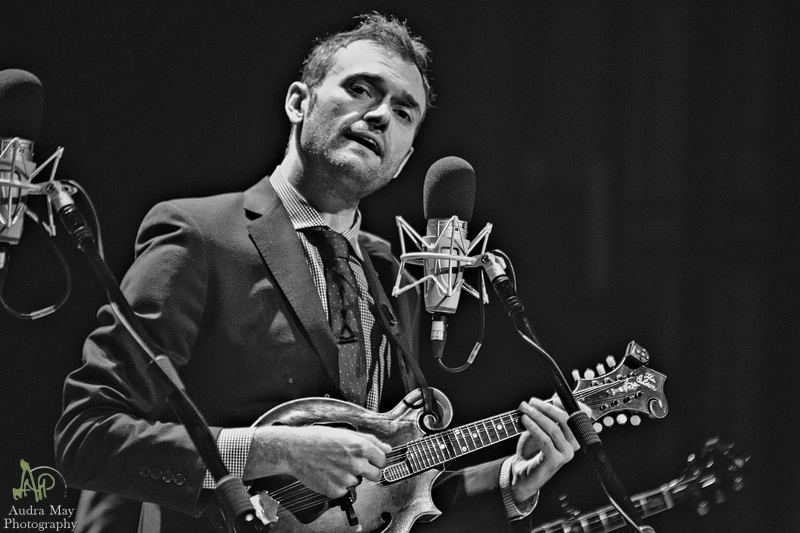 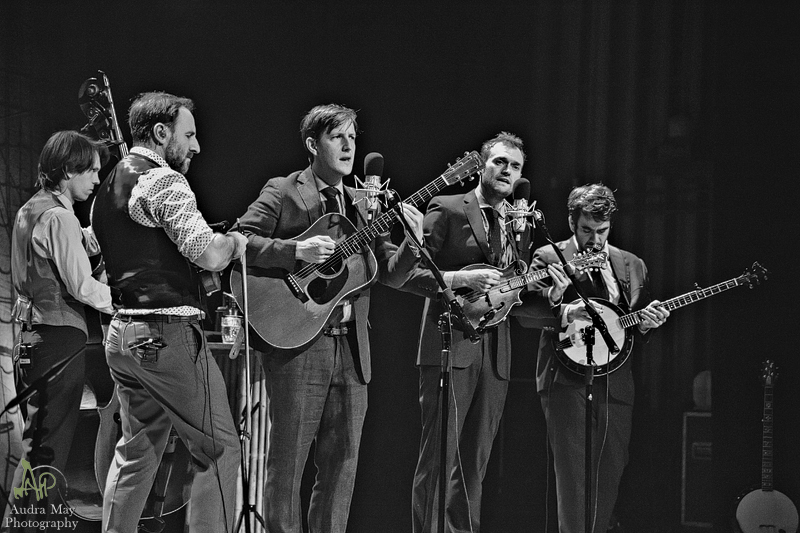 Whether they are touring as the Punch Brothers proper, as they are tonight, or if the members are in one of their various side projects or producing music or hosting radio shows these musicians might cease to exist if they are not performing. 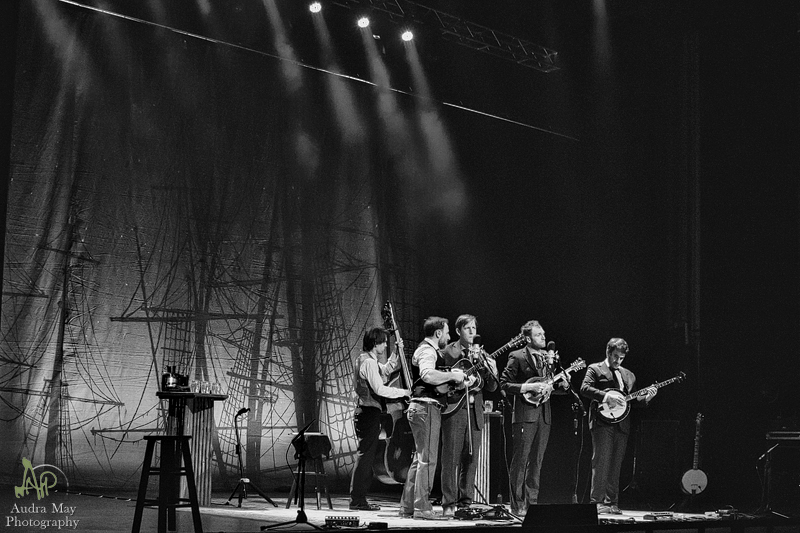 Every time I receive an email update from the band, I’m amazed at how much they accomplish; they are never at rest. 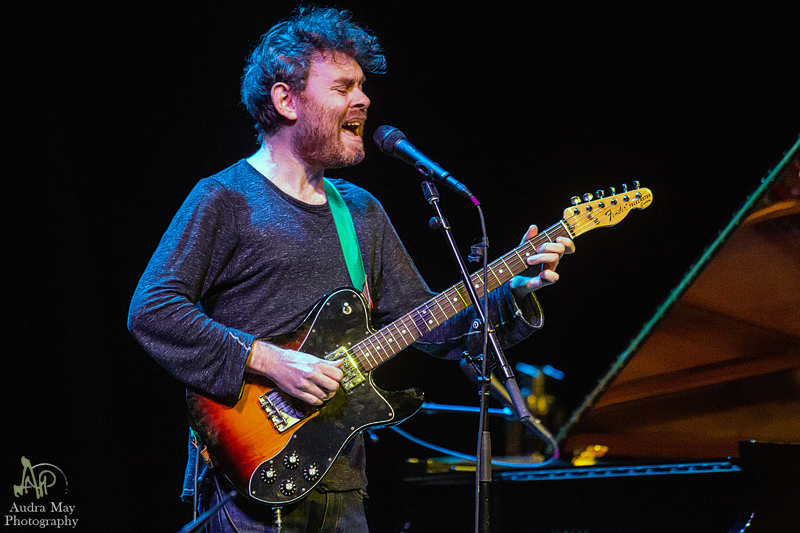 The night begins with a set from Gabriel Kahane. 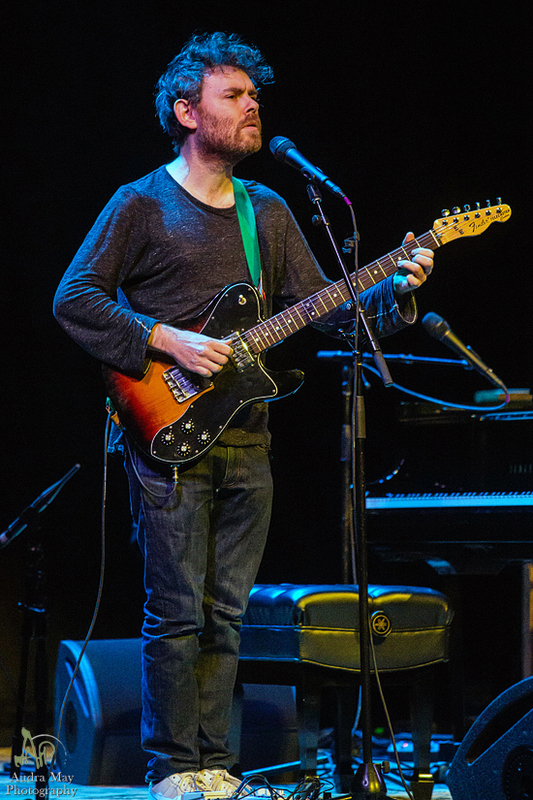 He opens with a quick couple of songs on electric guitar before migrating to the baby grand piano. 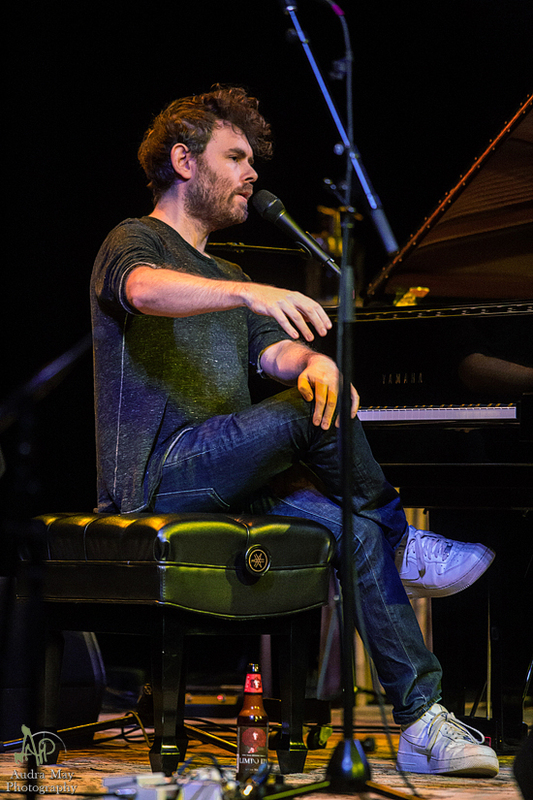 Kahane switches between the comedic snippets of “Craigslistlieder,” a song composed from posts he found on Craigslist, to the deeply personal social commentary of “October 1, 1939/Port of Hamburg.” The latter song is from his 2018 release Book of Travelers and is parts of his grandmother’s diary detailing her flight from Nazi Germany to the United States, haunting lyrics sung delicately over piano string plucking and dampening by hand. 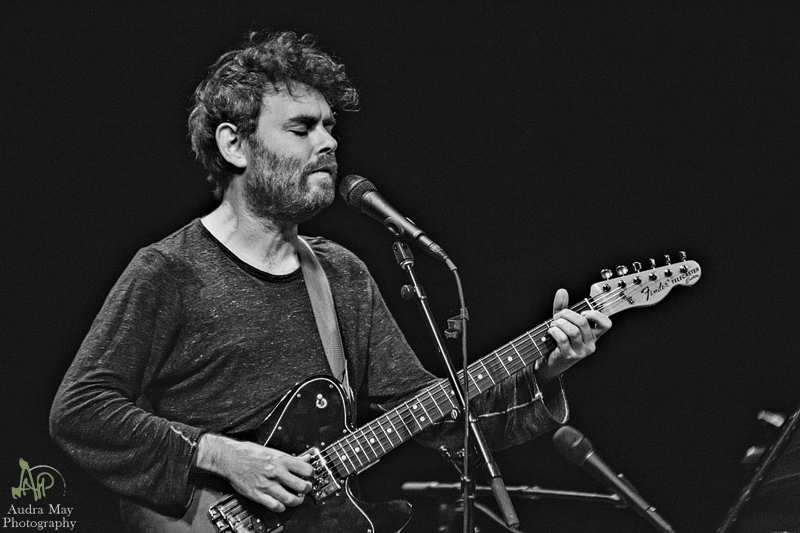 Kahane dedicates the song to the recent victims of the terrorist attack in New Zealand and to anyone who has felt persecuted. 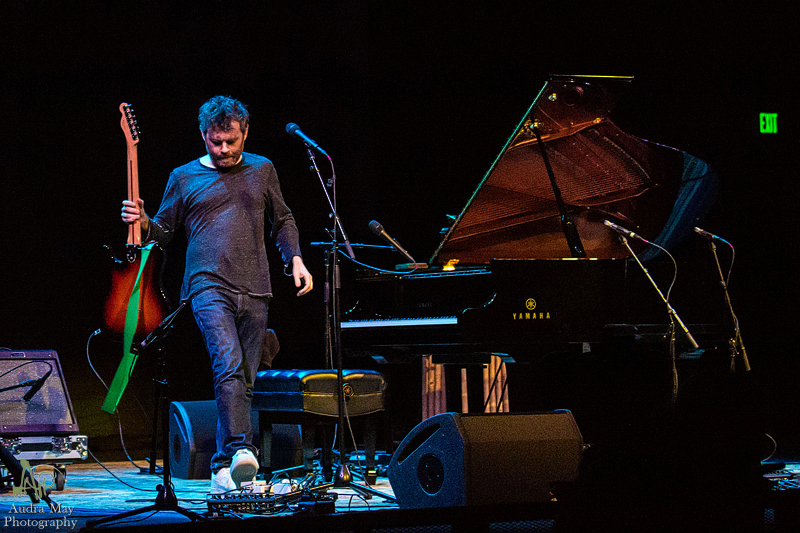 There is no sense of preaching in Kahane’s performance and he often breaks into self deprecating humor. 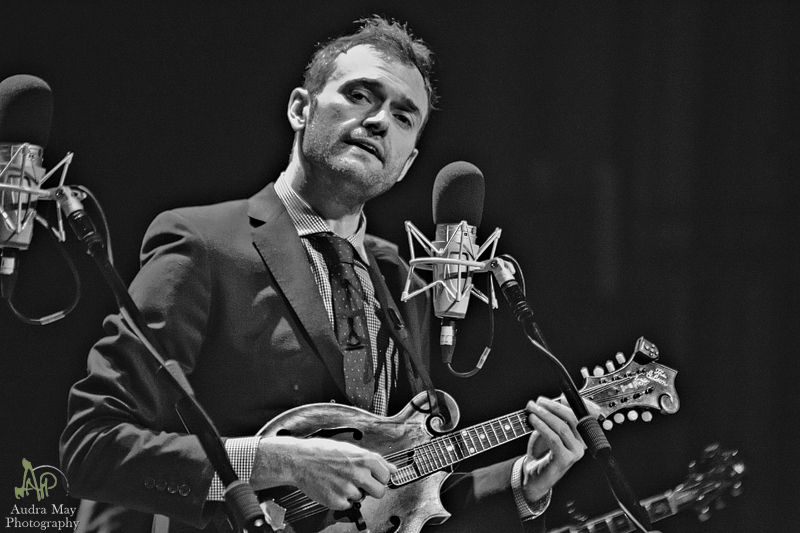 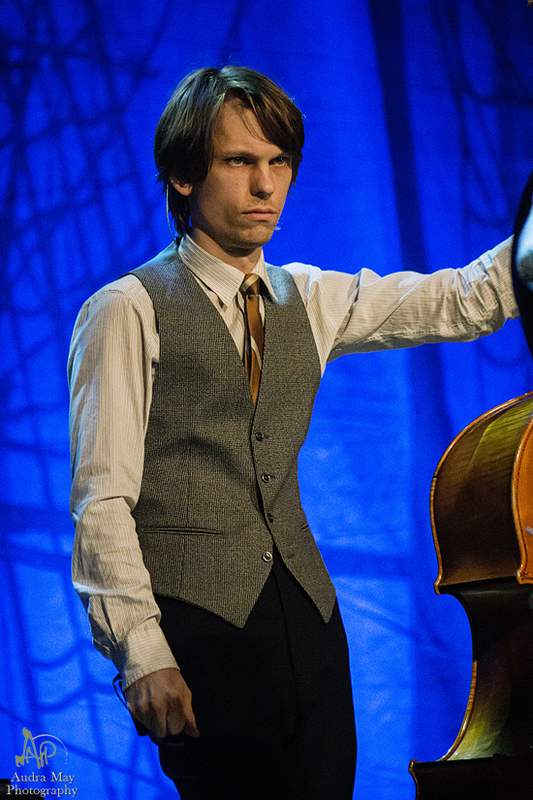 He jokes that the Punch Brothers are the only band that will put up with his unusual chord progressions. 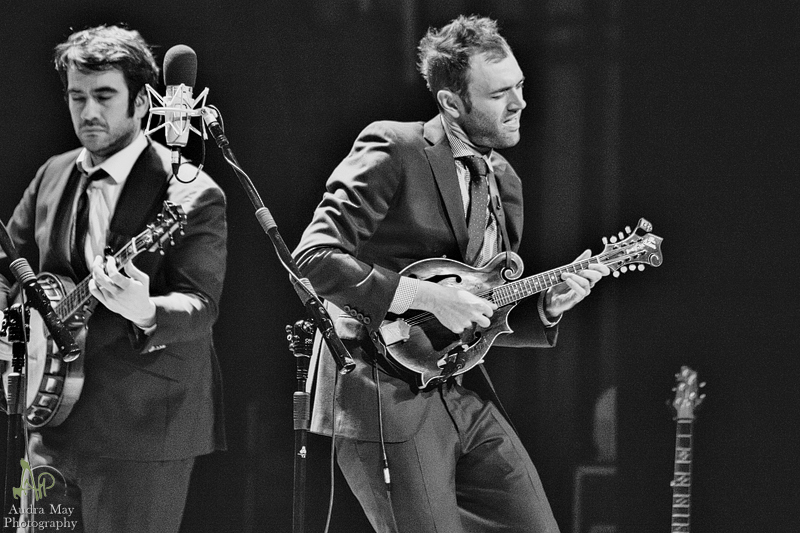 When the Punch Brothers take the stage, there is a buzz in the air. 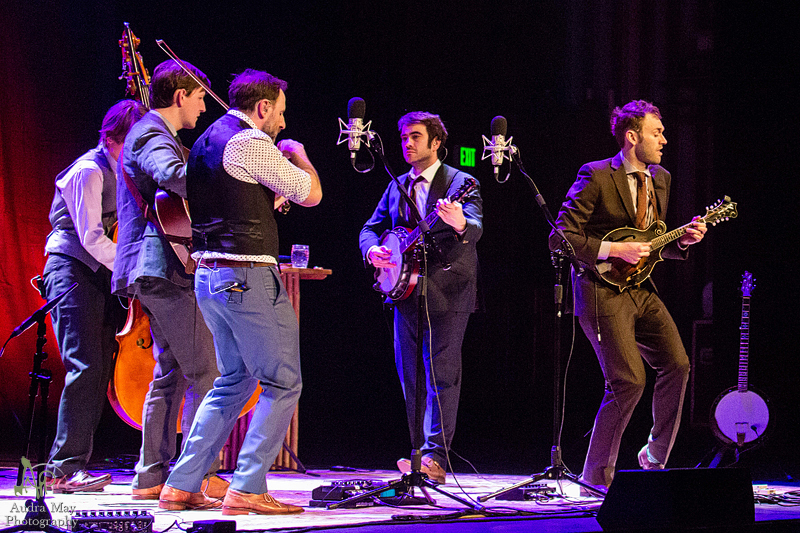 College Street Music Hall has decided to set up the venue as a seated show, which I greatly appreciate. 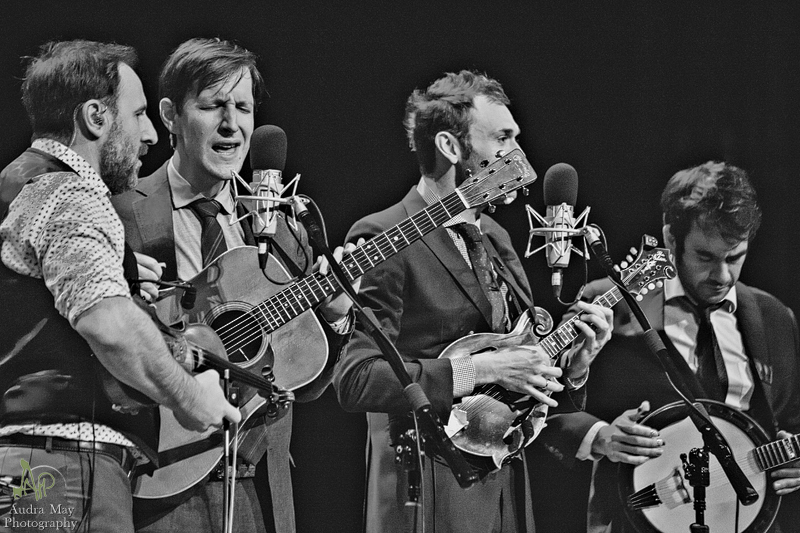 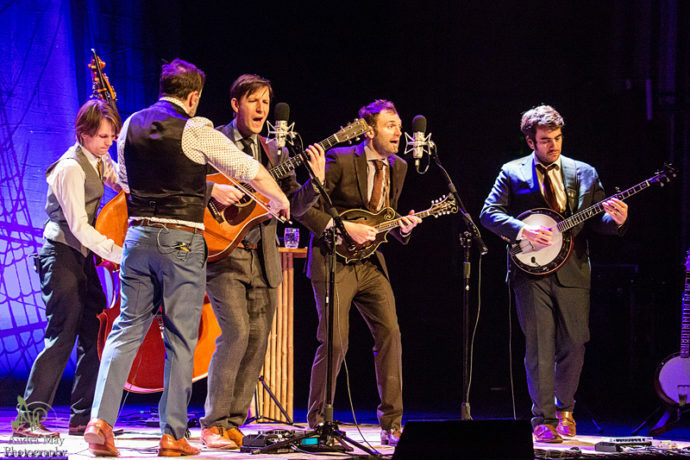 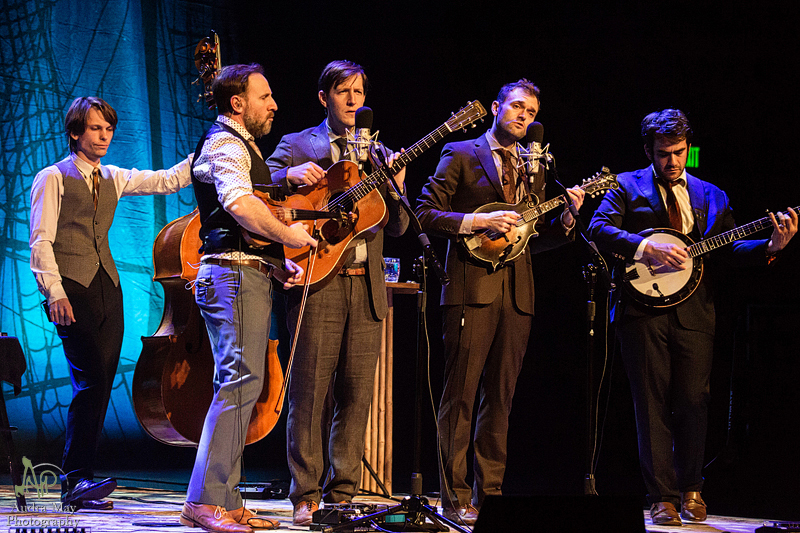 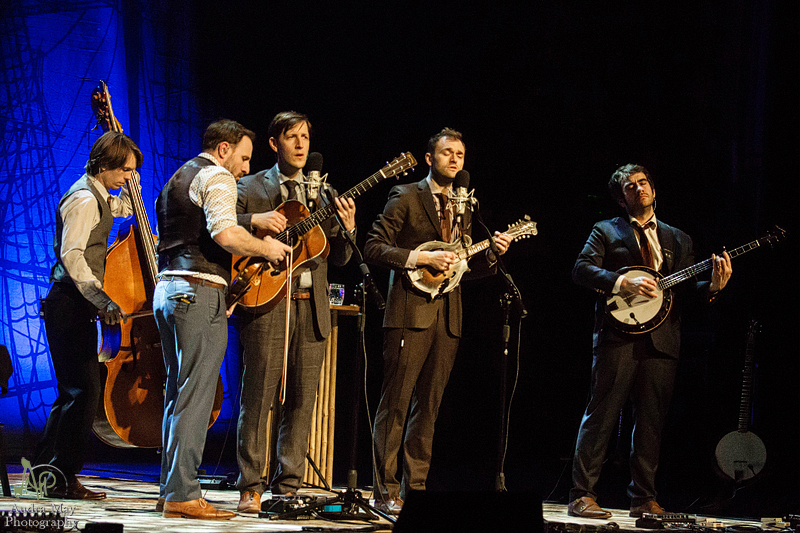 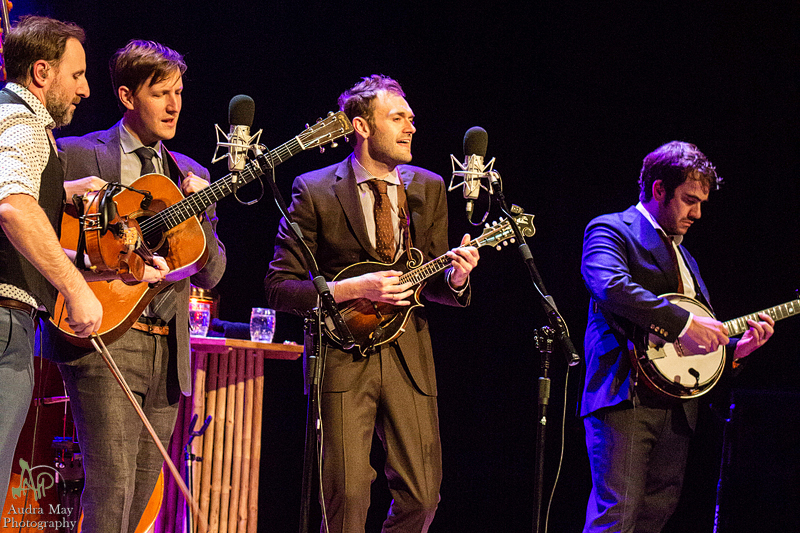 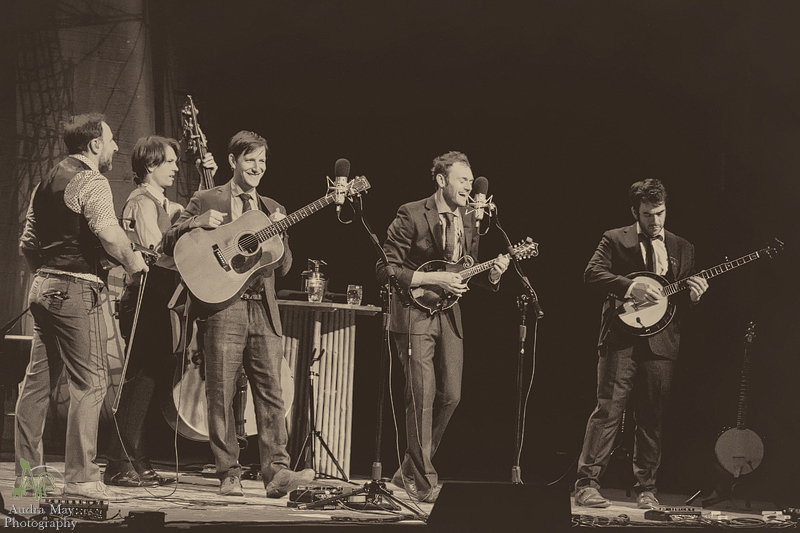 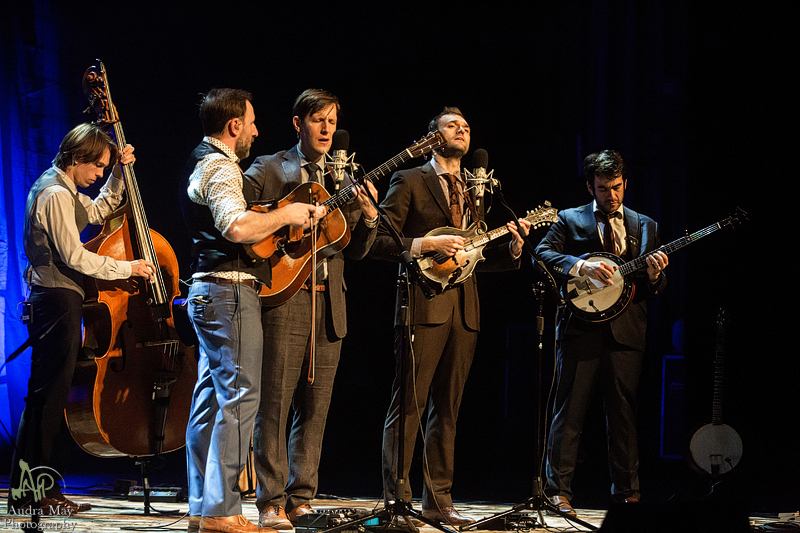 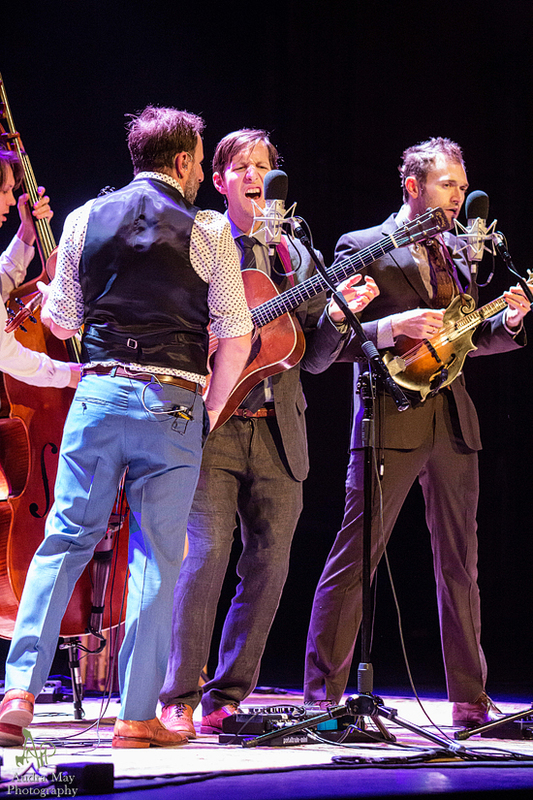 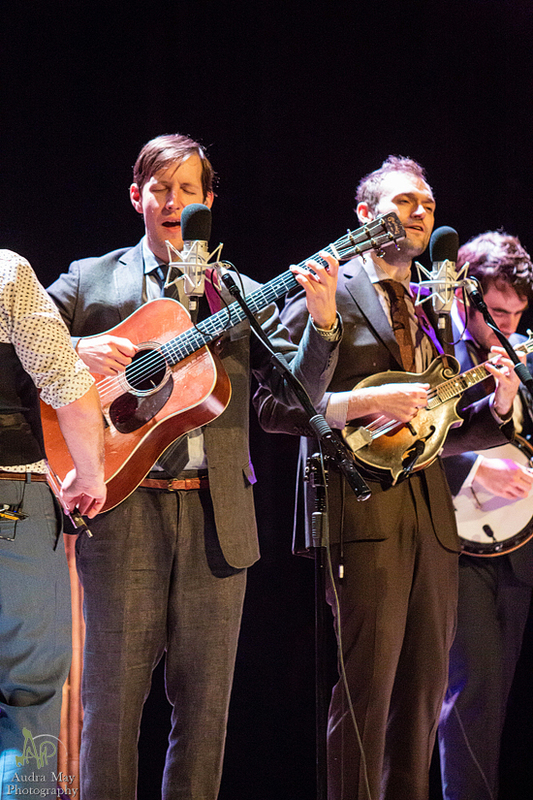 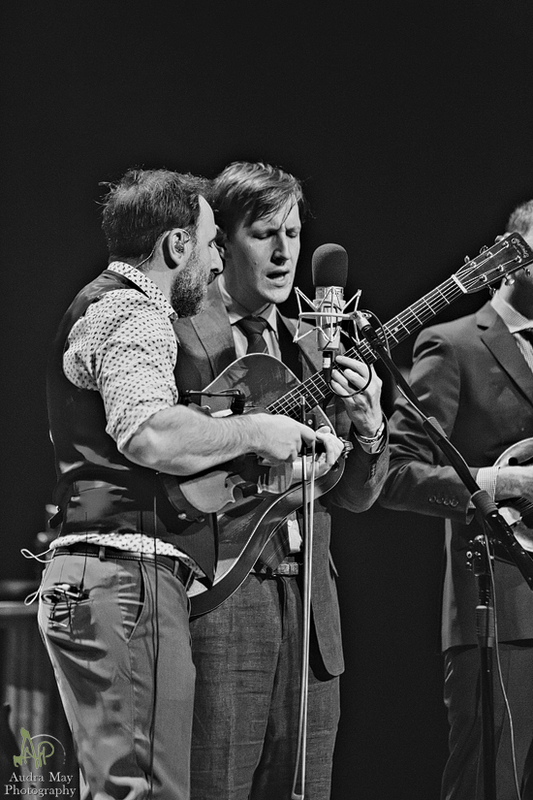 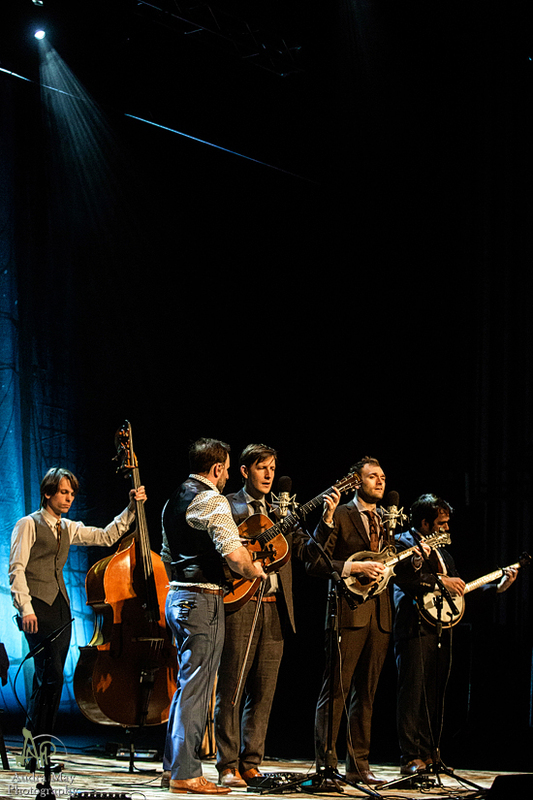 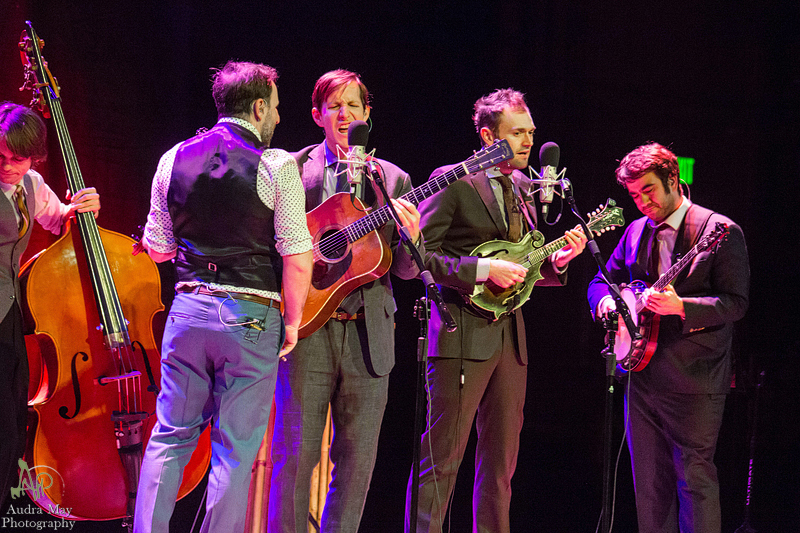 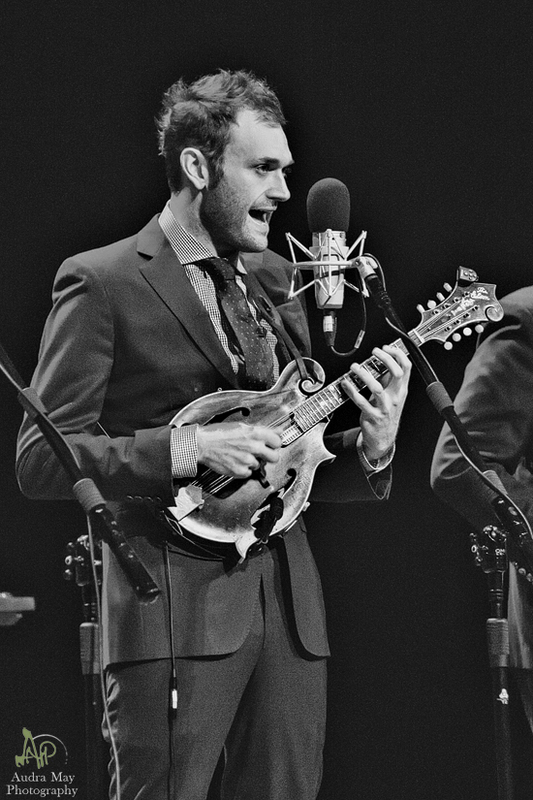 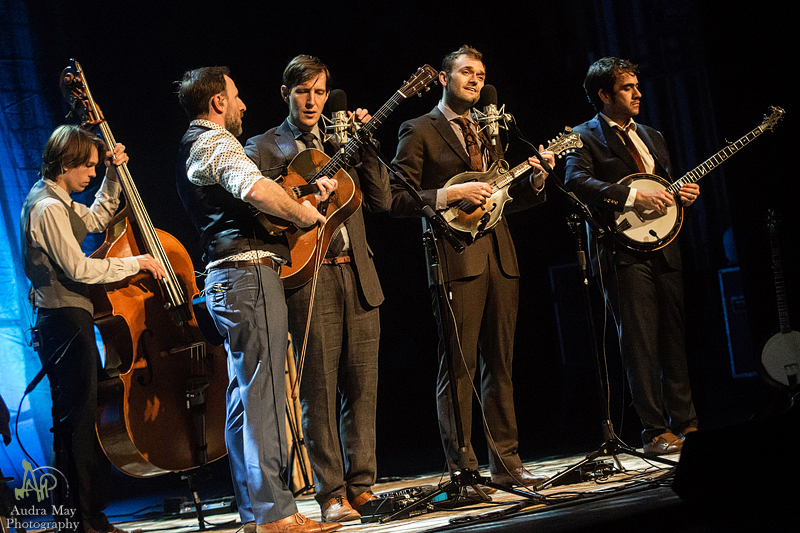 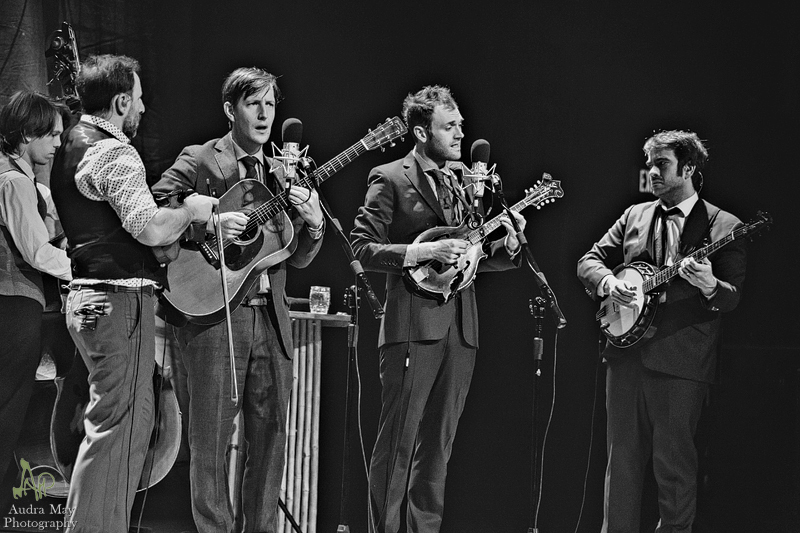 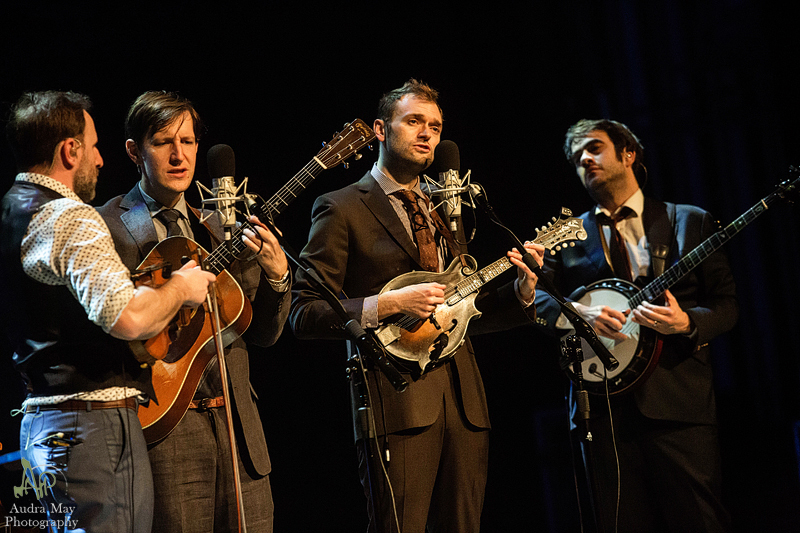 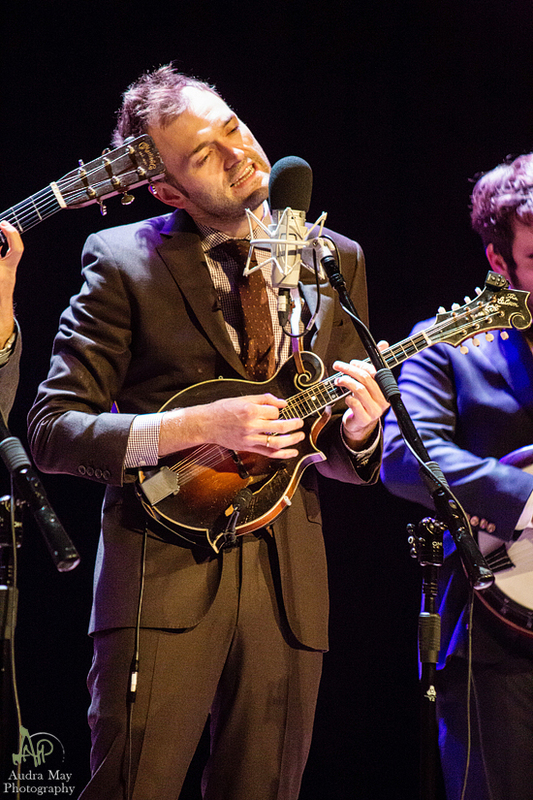 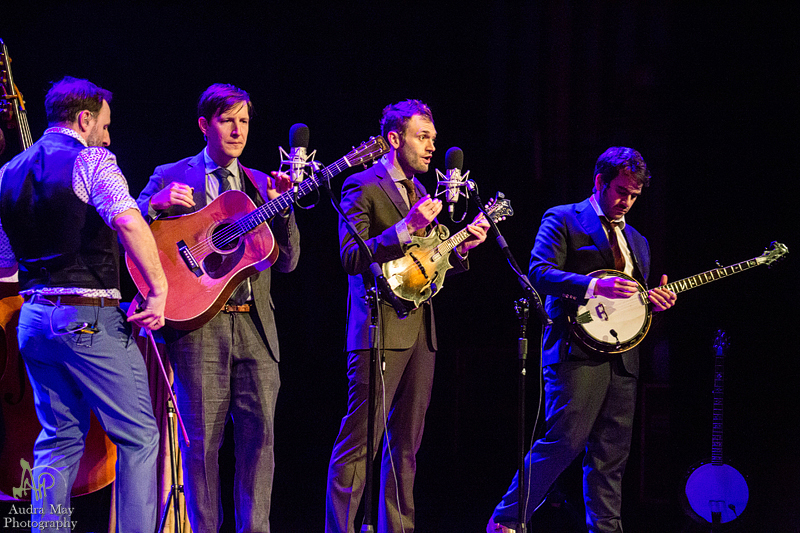 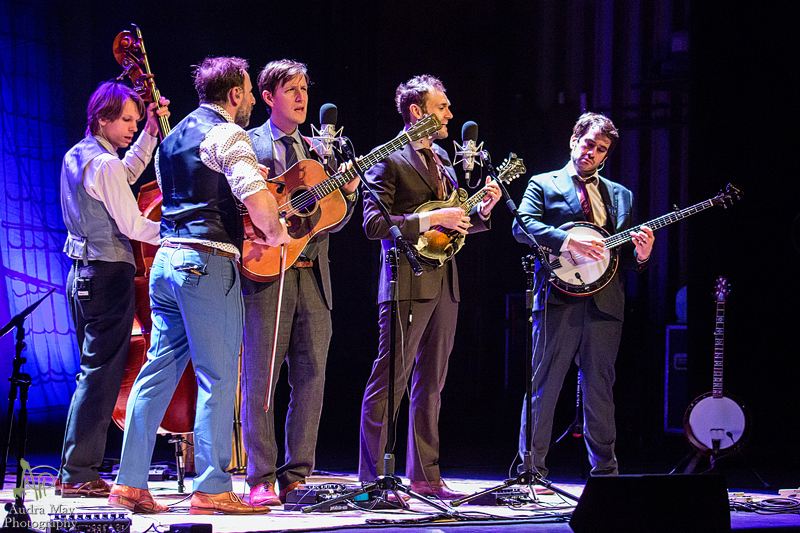 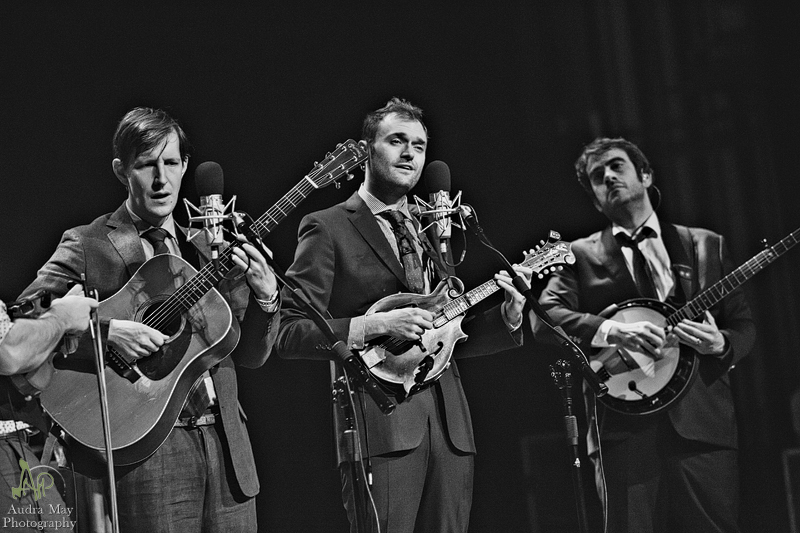 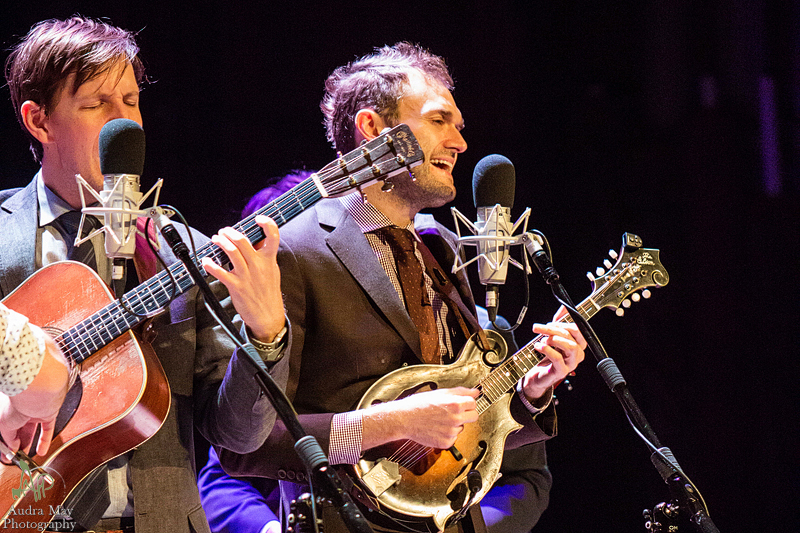 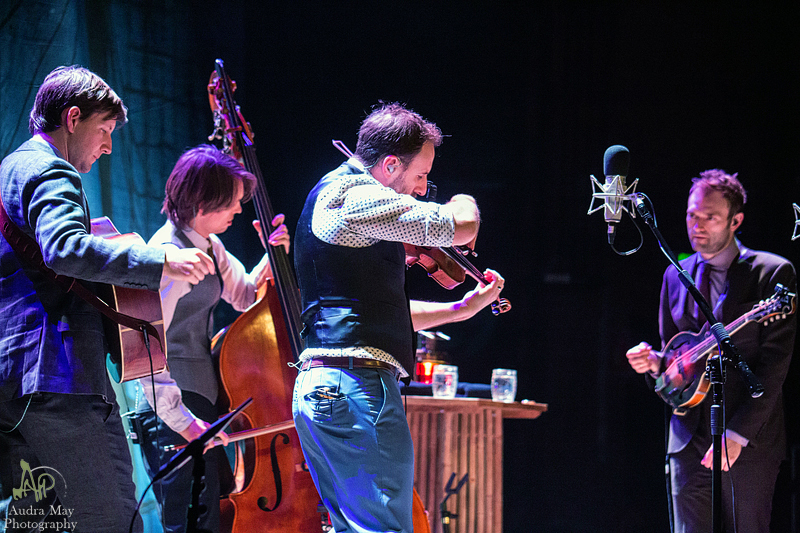 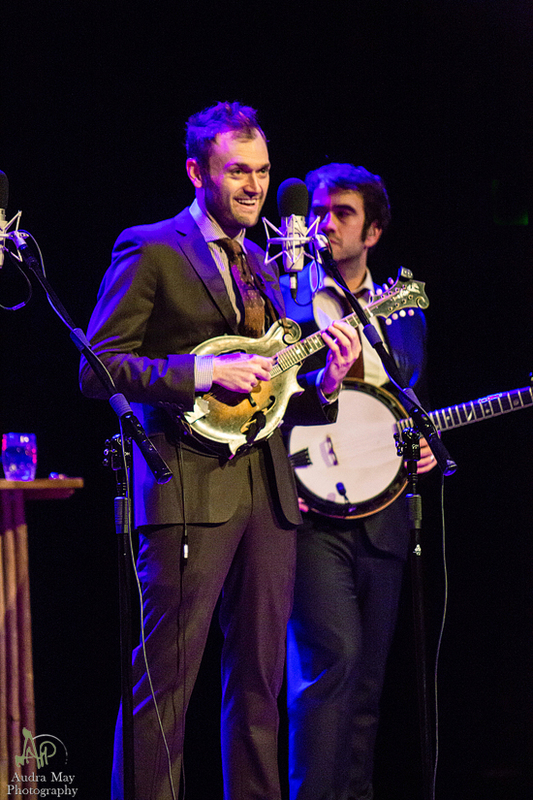 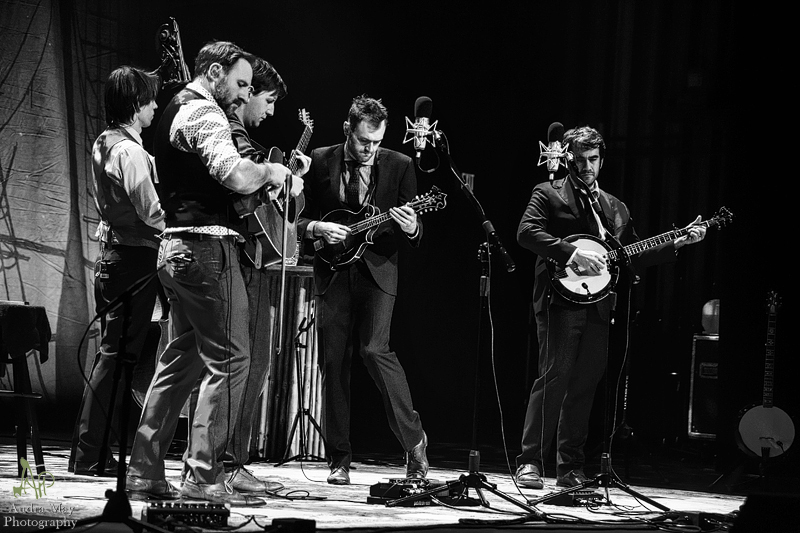 The band forms a semi circle around a pair of vintage condenser microphones with violinist Gabe Witcher on the left, bassist Paul Kowert, guitarist Chris “Critter” Eldridge, mandolinist Chris Thile and banjo player Noam “Pickles” Pikelny on the far right. 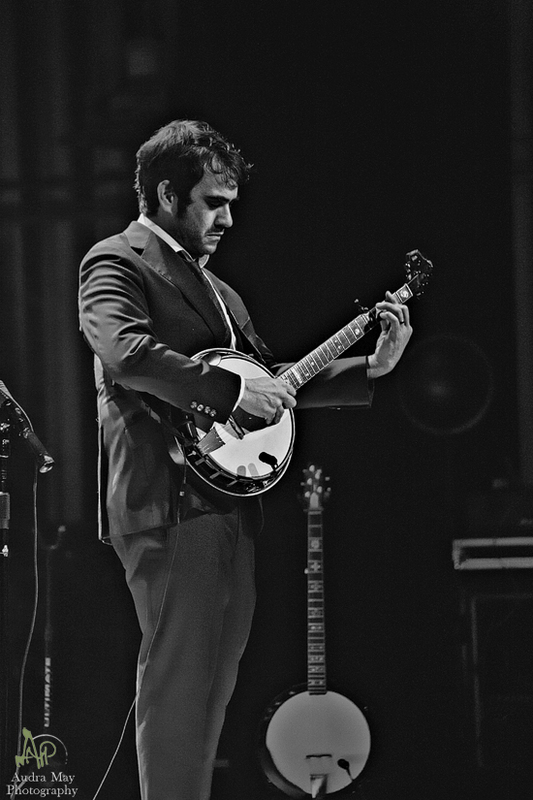 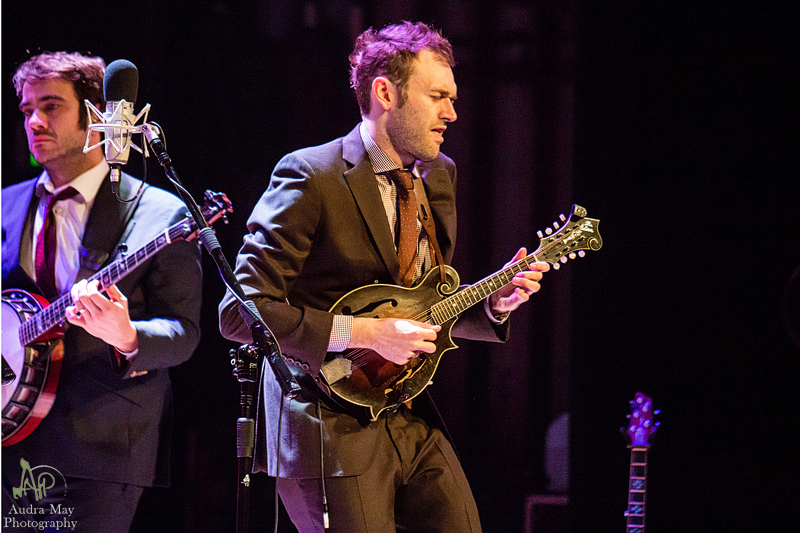 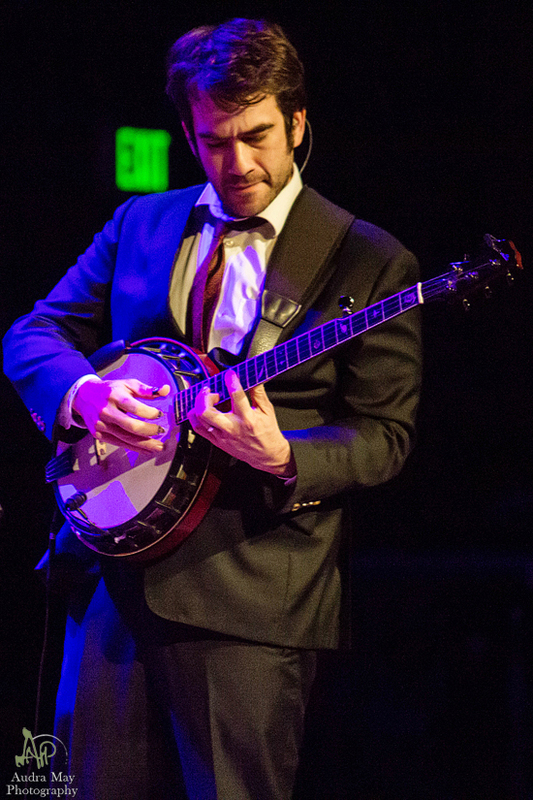 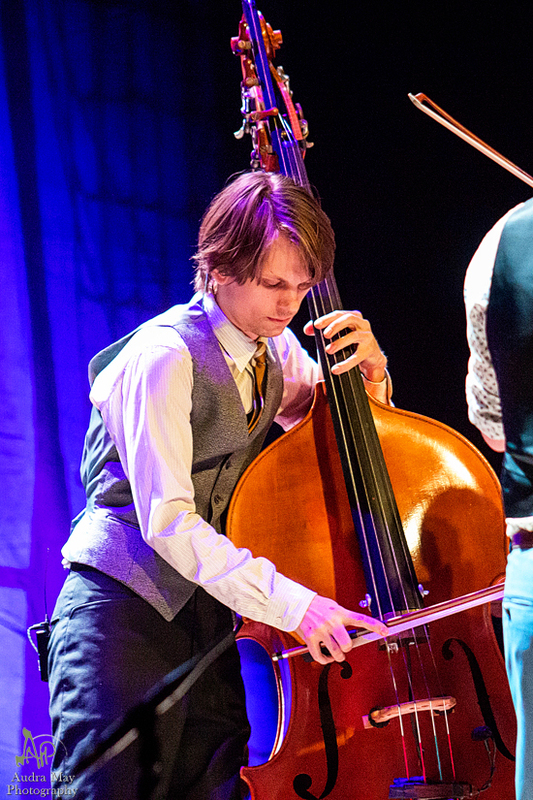 Thile counts off the tempo and Pikelny bursts into the opening riff of Movement and Location. 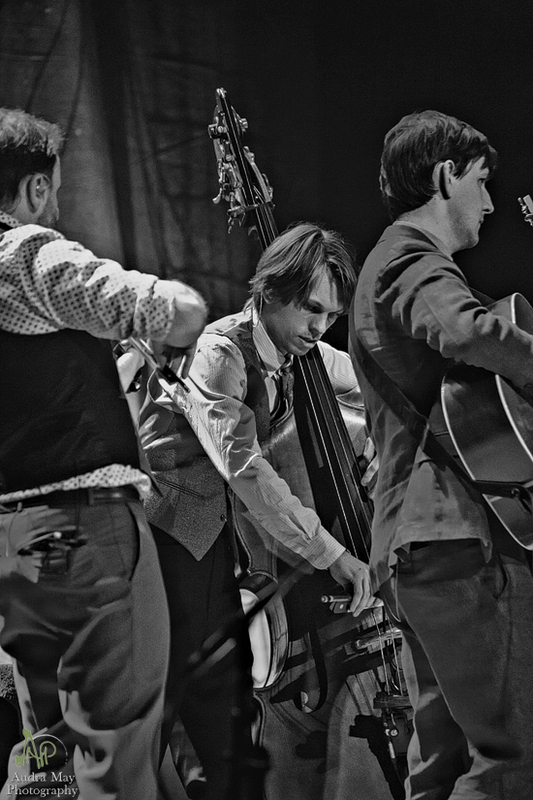 It’s absolutely breathtaking how effortless the music flows from the entire band. 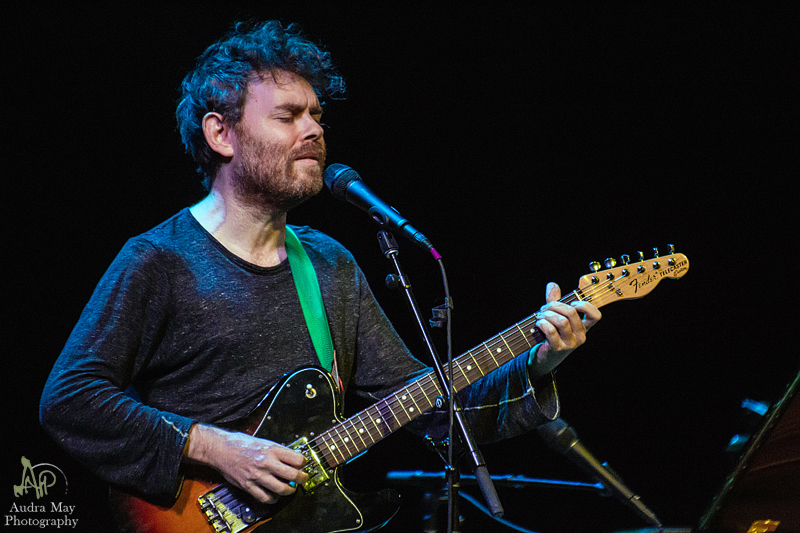 The majority of the band is static. 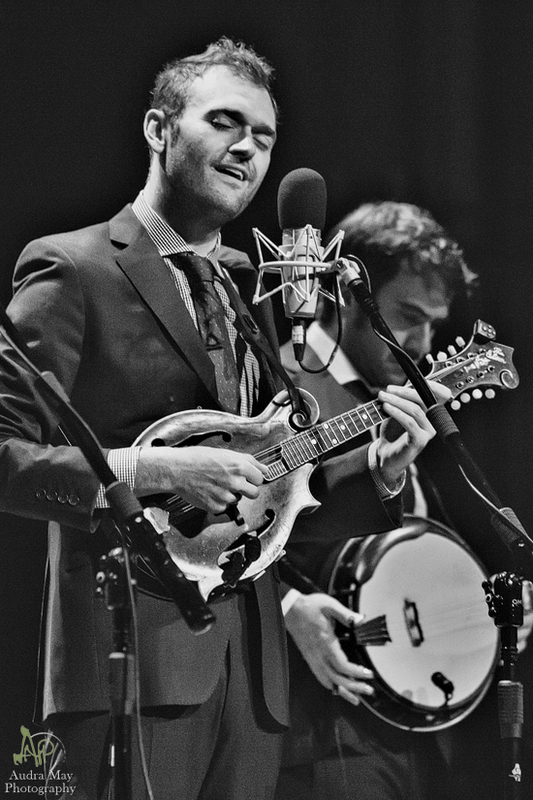 And then there is Chris Thile. 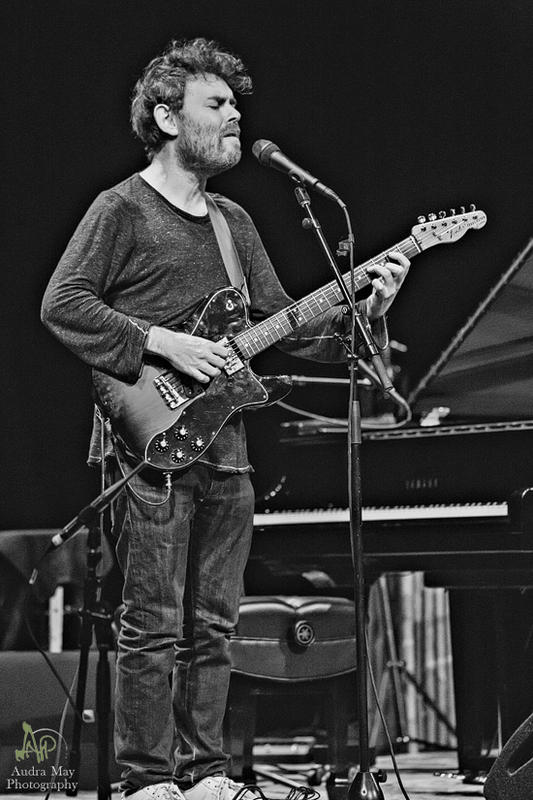 He flits about the stage like a hummingbird that drank its weight in caffeine. 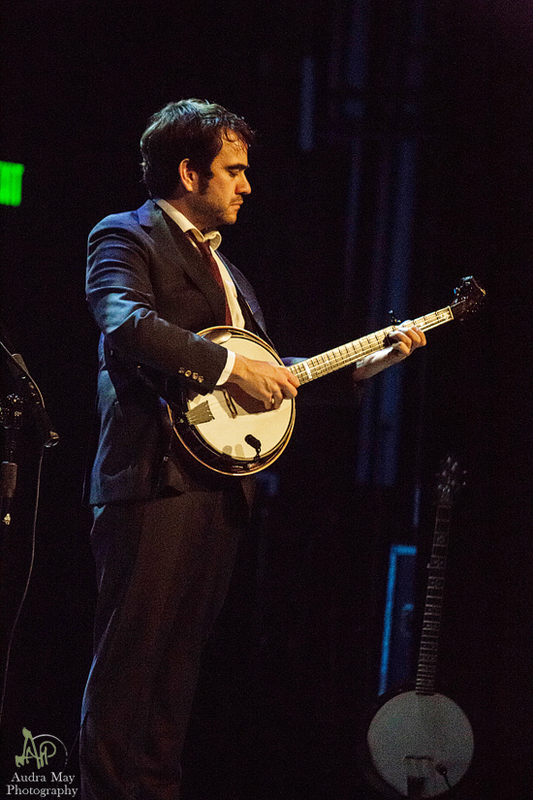 His dancing is reminiscent of Ed Grimley, and I say that in the nicest way possible. 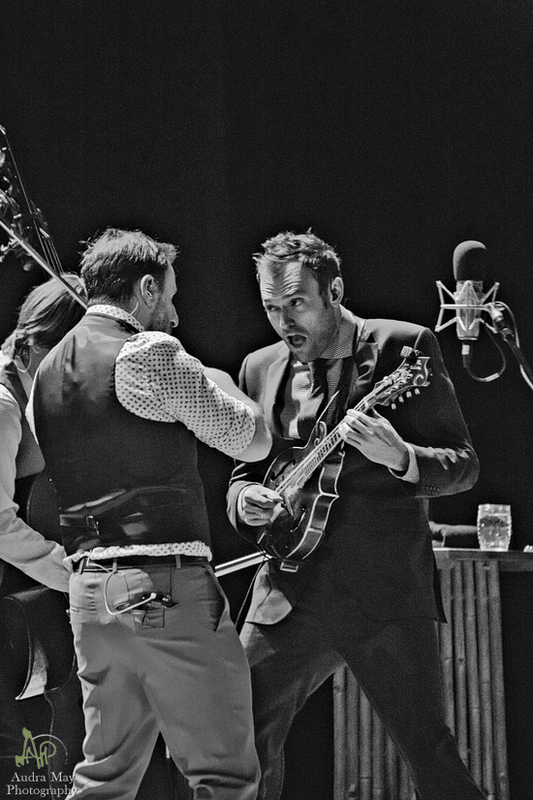 The entire band feels the music so deeply and the intensity is clearly displayed on their faces. 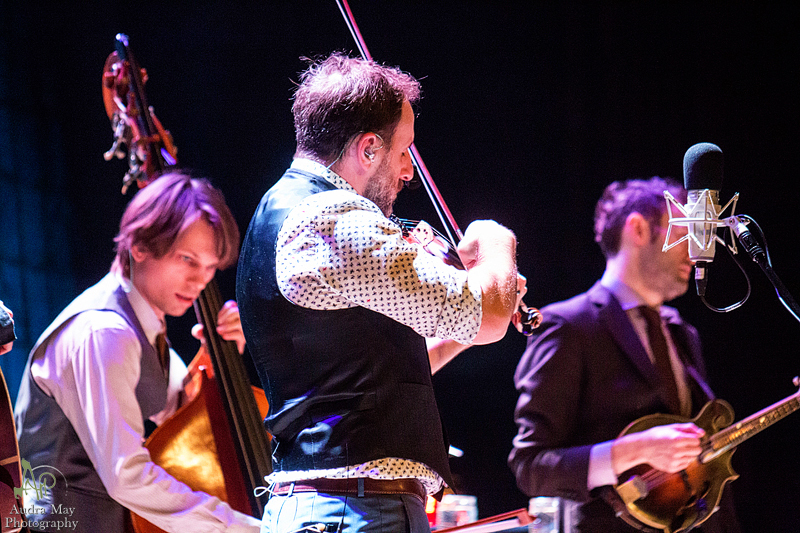 Thile just bounces around the stage as if his energy cannot be contained. 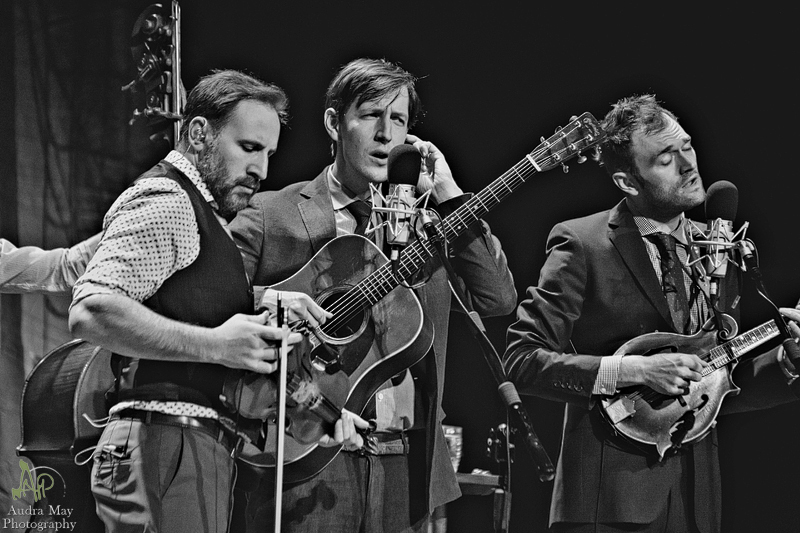 Each member of the Punch Brothers is a musical prodigy and so talented, I’m not even going to attempt to put it into words. 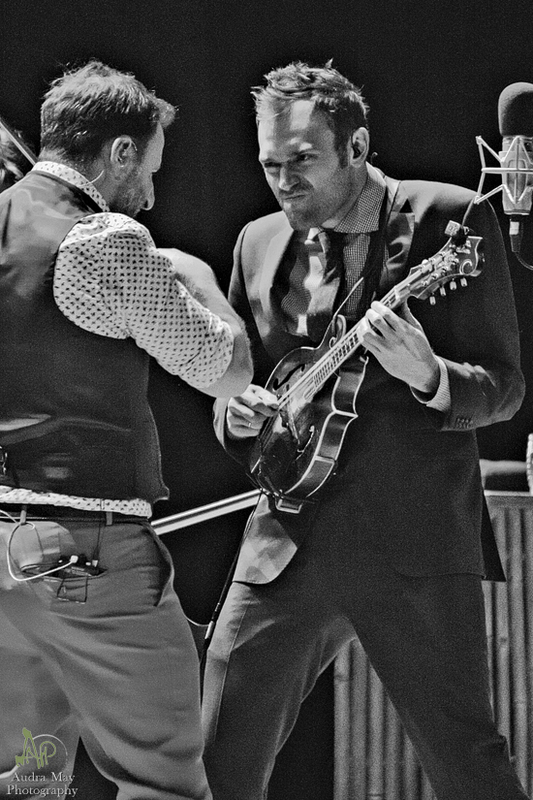 Just imagine if any one of their solos were on electric guitar instead of the bluegrass instruments they prefer. 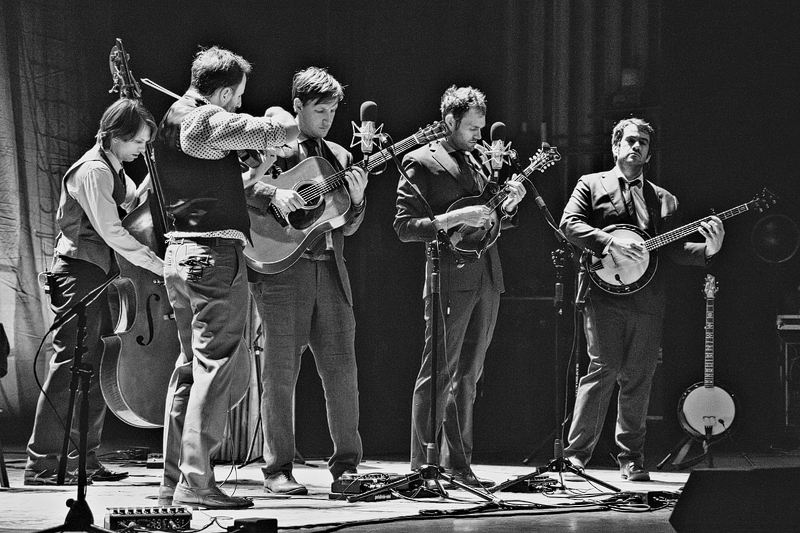 And it’s not only blue grass music. 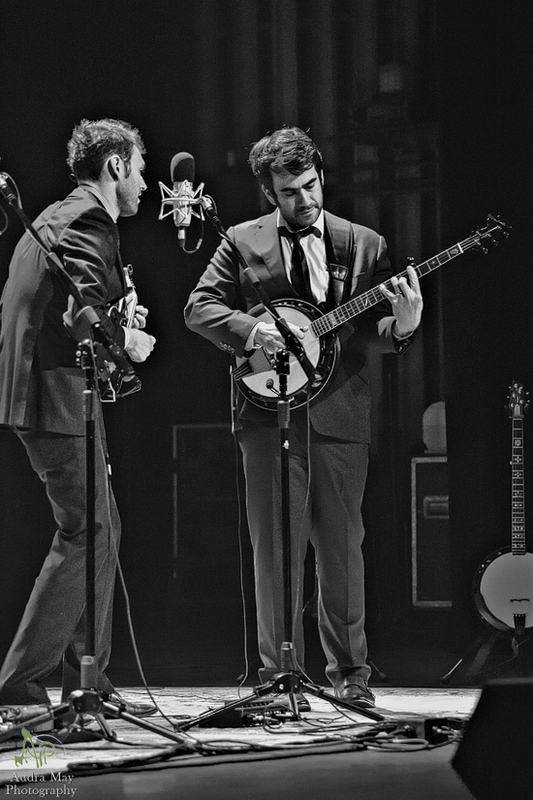 They are just as comfortable covering 80’s pop songs or classical music. 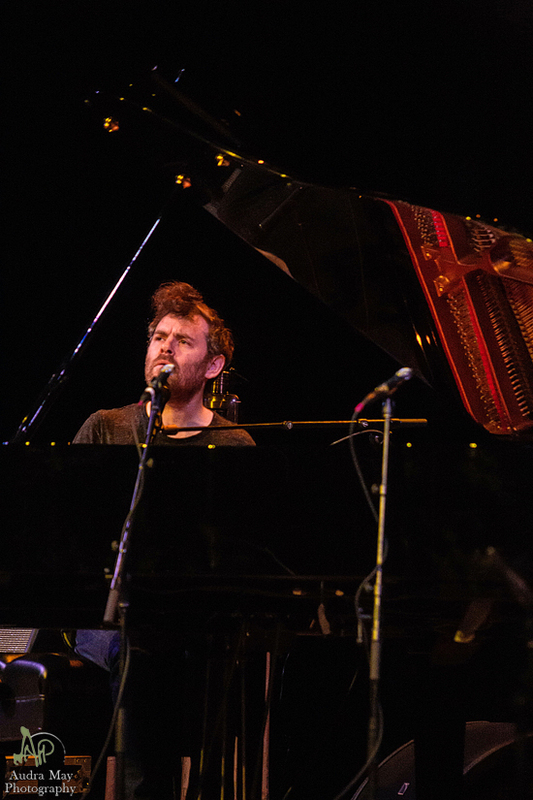 Pikelny joked later on in the set in his deep bass voice, as they were about to play a piece by Debussy, that five musicians were going to break down what one man was able to accomplish on piano. 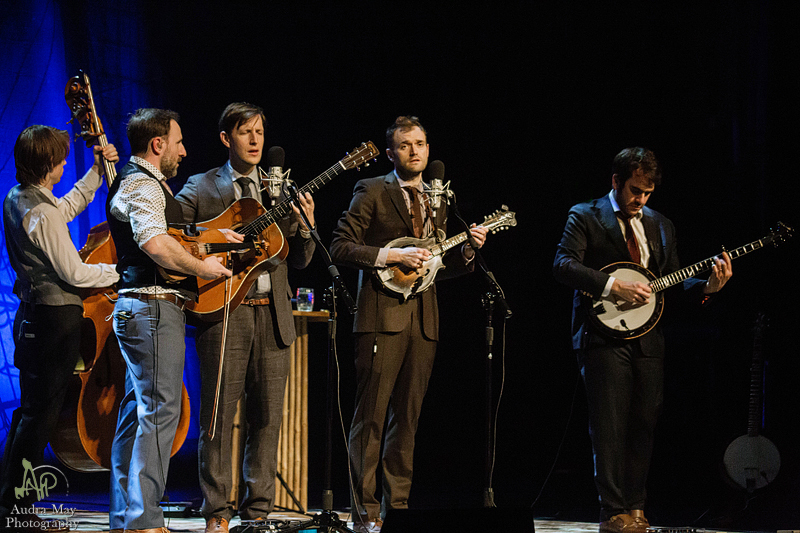 The Spring tour continues across the States, and I’m fairly certain it will extend into a Summer to Fall to Winter tour. 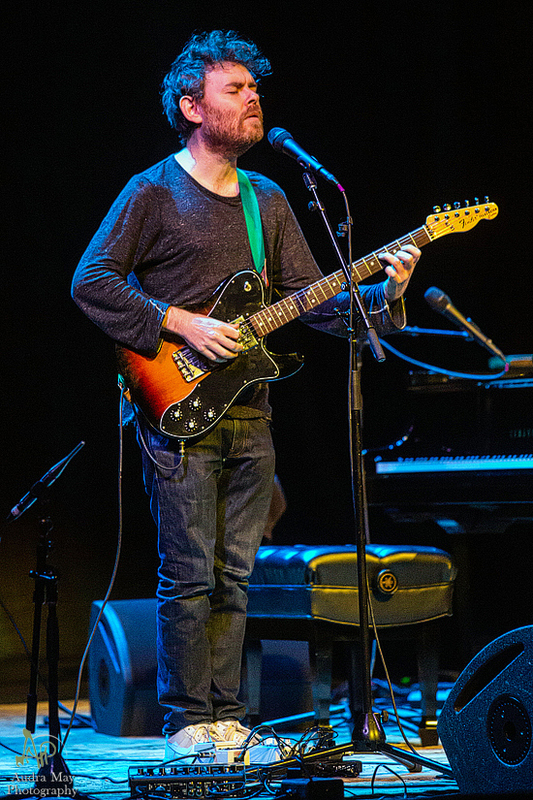 Remember, sharks are always in motion. 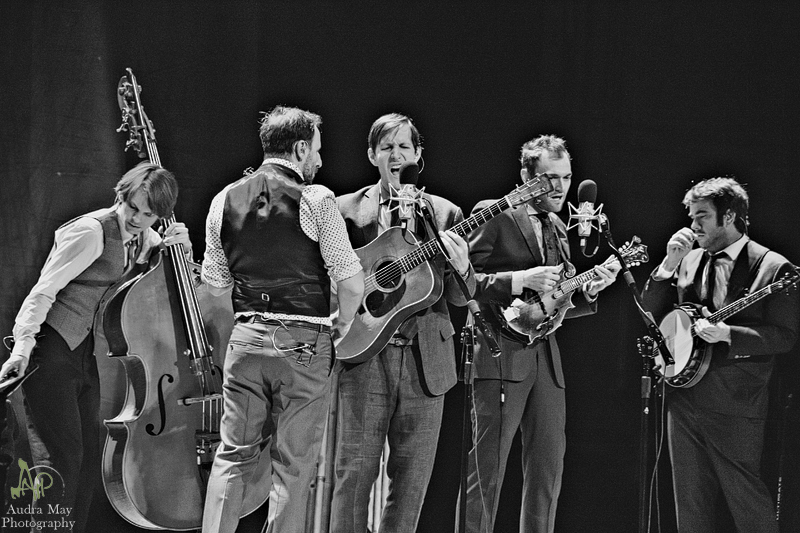 Be sure to check out their website for the current dates.